App Dev Empire for the Android - Build Your Own Android: A to Z Crash Course | Free eBooks Download - EBOOKEE! Posted on 2013-05-27, by voska89. Google Androidapp developers earned $125 Million in mobile display adds while iphone guys earned less than 90 last year! Google is all about PPC and advertising, that's where the biggest revenues come! You don't really have to sell your app! It can be free to download and still bring thousands! In the final video tutorial we'll show you how to export the finished game into the Androidmarketplace, called GooglePlay, submit, and start making sales! In conclusion, you will have a full plug and play solution that you can be selling in the marketplace right away! And remember there is no approval or risk that your game will be declined! That's the beauty of developing for Androidï¿½! 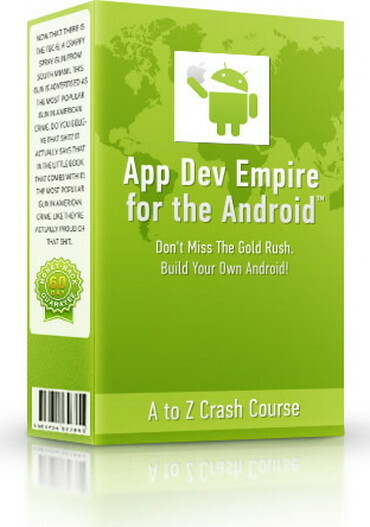 No comments for "App Dev Empire for the Android - Build Your Own Android: A to Z Crash Course".